Once again the Pro-Reconciliation Anti-Racism Team is sponsoring the One Region, One Book program. This year we have selected the novel, A Lesson Before Dying by Ernest Gaines. Set in a small Cajun community in the late 1940s, Gaines novel urges us to consider what it means to be truly human, to live and to die with dignity. It is the question for Jefferson, a young black man who is sentenced to die after he unwittingly is party to a liquor store shoot in which three were killed. It is the question for Grant Wiggins a plantation school teacher who unwillingly is recruited by his aunt and Jefferson’s godmother to impart learning and pride to Jefferson before he dies. And, it is the question for us as we seek to live, and to allow others to live, to be fully human as God created us to be. Selected for the Oprah Book Club, Gaines has been highly praised for his understanding of the human psyche and for the compassion that he shows as his characters and their struggles. A Lesson Before Dying will provide us with an opportunity to explore the heroism of resistance. It will open the door to discussion on the “prison pipeline” that exists within our country today. While the Pro-Reconciliation Anti-Racism team will not be providing copies of the book to churches as was done in 2013, the novel is readily available in hardback, paperback, electronic and audible versions on Amazon and in bookstores. It can also be obtained through libraries and inter library loan programs. Finally, there has been a movie made based on the book that is currently available in DVD. Gaines’ novel would make a great novel for a congregational study. The Pro-Reconciliation and Anti-Racism Team are currently working on a study guide to distribute to congregations. Currently there are lots of study helps, notes and discussion guides available online. 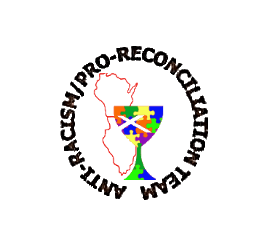 The Pro-Reconciliation Anti-Racism Team will be leading a discussion at the Fall Regional Assembly and we invite you to join us as we consider A Lesson Before Dying.